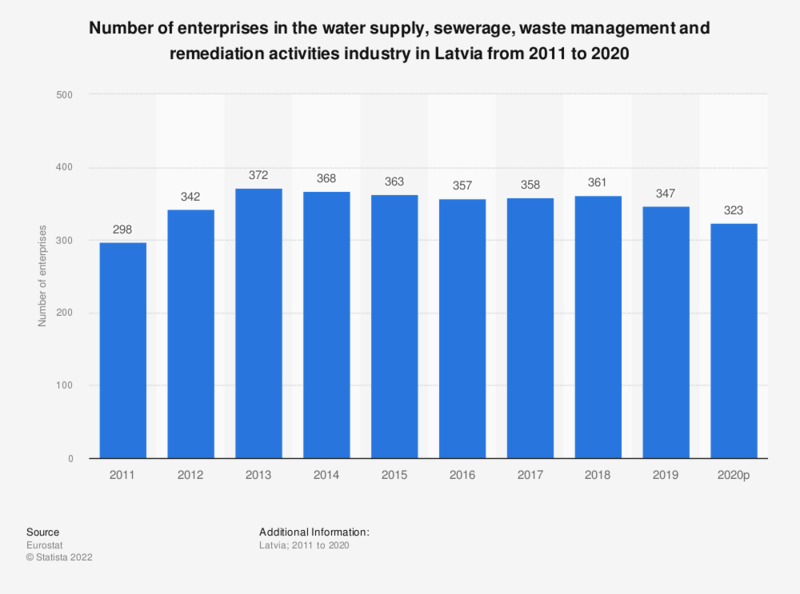 This statistic shows the number of enterprises in the water supply, sewerage, waste management and remediation activities industry in Latvia from 2008 to 2014. In 2014, there were 368 Latvian water supply, sewerage and waste management enterprises. Data coverage corresponds to code E of the NACE_Rev2, which is water supply, sewerage, waste management and remediation activities.